In order to understand the reason for this, you need to understand the different types of rights that shares give their owners. Ordinary shares will generally have all of these rights but that doesn’t have to be the case and it’s this that gives rise to the benefit of different share classes. Voting: Shares can either have the right to vote or not and they can also have weighted voting rights. So for example, they can carry extra voting rights on certain important matters. Dividends: Shares can have rights to normal dividends, preferential dividends (ie before other shares receive their dividends) or no dividends at all. Capital: On the winding up of the company (or sometimes on a sale) shares with capital rights will receive whatever assets are left after the debts are paid. Investor/management shareholders: When an investor holds shares alongside the management, they often use different classes of shares to deal with their different rights and obligations. These share rights can also be used to incentivise management by giving them an increased share of the profits if the company performs exceptionally well. To mimic debt: Some types of shares (generally called cumulative preference shares) can have very similar characteristics to debt and can be used in this way and often sit alongside other types of debt. 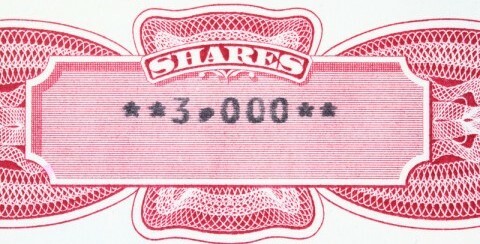 Allowing the original owner to maintain control without owning a majority of the shares: Rupert Murdoch has used this approach in the past whereby the founder of a company sells the majority of the economic rights in the company but keeps the majority of the voting rights and hence control of the company. The above is just a flavour of what is possible with different share classes and it is a complicated area, so if you are interested in creating new share classes for your company we recommend that you speak to an expert for advice. This article has been provided by Elemental CoSec, experts in providing corporate services and company secretarial services. If you have any questions regarding share rights or otherwise then please get in touch with them. What are the Articles and Memorandum of Association?